 The scenic location of the St. Peter Greathouse is said to have originally been frequented by several indigenous Indian tribes, various deeded owners of French descent and famous pirates of the Caribbean. Legend and lore report, that after escaping from Jean Hamlin’s burning pirate ship Le Trompeuse in the St. Thomas Harbor, buccaneers from Hamlin’s ship took cover on the historic grounds of the St. Peter Greathouse. ​Part of a 150 acre parcel known as Plantation St. Peter in the 1800’s, it was sold in 1938 by Thomas Berry to the then appointed Governor of the US Virgin Islands, Lawrence W. Cramer for the sum of $400.00. In the 1960’s the trust of Johnson & Johnson Corporation acquired the estate and further developed it as a retreat. In 1987 Palm Villa Incorporated purchased the estate to utilize it as an eco-tourism attraction and began to establish the botanical gardens. In September 1989 Hurricane Hugo devastated the island with winds up to 200 mph. Restoration commenced immediately after the storm and The Estate St. Peter Greathouse has since been completely rebuilt and opened for all to tour and enjoy.